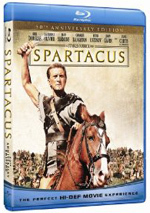 Spartacus, the genre-defining epic from director Stanley Kubrick, is the legendary tale of a bold gladiator (Kirk Douglas) who led a triumphant Roman slave revolt. Filmed in glorious Technicolor, the action-packed spectacle won four Academy Awards including Best Cinematography and Best Art Direction. Featuring a cast of screen legends such as Laurence Olivier, Charles Laughton, Peter Ustinov, Jean Simmons, John Gavin and Tony Curtis, this uncut and fully restored masterpiece is an inspirational true account of man's eternal struggle for freedom. Among Stanley Kubrick’s films, 1960’s Spartacus enjoys a lackluster reputation, partially because he acted as a “hired hand” for the film. Kubrick came onto the picture late as a replacement director and he failed to bring as much of his cinematic personality to the film. This was my fourth or fifth screening of the film, but it did nothing to change my opinions of it. As in the past, I found Spartacus to be an uneven but generally solid film. It definitely appeared to be less strongly a "Kubrick" piece than any other work of his I've seen; the director's signature style - described as cinematic cynicism at times - didn't really seem to be on display. Actually, I really didn't see much that differentiated it from other "epics" that were so popular in that time period. Spartacus stands up nicely when compared to pictures like Ben-Hur or Cleopatra, but it doesn't outdo them, and it never approaches the heights of Lawrence of Arabia. Spartacus did manage to offer some parts that were nicely done and fairly emotional. Its best scenes appeared during the final third or so of the picture; one large battle and the movie's emotional conclusion both worked tremendously well and stood out as the picture's high points. Other than that, however, I simply didn't see much that made the film stand out from the other movies typical of the era and the genre. One interesting aspect of the film was how strongly the "good guys" differentiated from the "bad guys." Overall, I found our heroes - mainly Kirk Douglas, Jean Simmons, and Tony Curtis - to be dull and wooden. All of them made for pretty and attractive presences, but their acting wasn't terribly effective, especially in the case of the ridiculously-miscast Curtis, who offers some terrible "singing" in his role; I didn’t mind his accent too much, but he was woefully unconvincing as a “singuh of sawngs”. Simmons was beautiful but bland, and Douglas was able to do little more than stick out his prominent chin and snarl; his attempts to provide other emotions seemed thin and lifeless to me. The villains of the piece, however, were all well-acted and vibrant. This was mainly because our chief bad guys were played by Laurence Olivier, Peter Ustinov - who won the Academy Award for Best Supporting Actor - and Charles Laughton; that's an awfully high-powered trio, and they acquitted themselves well. There's simply a subtlety to their work that I found lacking among the protagonists; those characters seemed to be cartoons whereas our villains appeared as much more full-blooded people. Ustinov may have won the Oscar - thankfully, he kept the occasionally-overwhelming mannerisms that mar some of his work in check here - but I think Laughton provided the best performance; his Gracchus really straddled the line between good and bad and made for a very interesting character despite limited screen time. Olivier also seemed effectively oily and powerful, and the trio created personalities that provided a great deal of life to Spartacus. Overall, I found the scenes that featured our antagonists to really be the only ones that kept me going. It's a looong movie, and the parts that featured Spartacus, et al., frankly seemed pretty dull. Some of this may have been by design - you never really know with Kubrick - but I think most of the responsibility fell with the actors; they simply couldn't keep up with their competition. As a whole, Spartacus provided an interesting but erratic experience. It could become something of an endurance test at times. I loved the scenes with Olivier, Ustinov and/or Laughton, but most of the rest of the film bored me somewhat. Ultimately, it's a good film, but I don’t think it's particularly special. 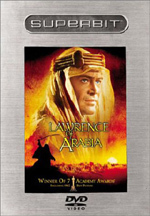 Spartacus appears in an aspect ratio of approximately 2.20:1 on this Blu-Ray Disc. While not an utter disaster, the transfer came with a mix of unfortunate problems. Most of these stemmed from “cleaning” done on the image. Apparently Spartacus got a big heap of digital noise reduction (DNR), and that robbed it of much detail. Occasional shots demonstrated decent to good clarity, but more than a few came across as rather soft. They also suffered from a plastic look, as facial textures lacked a natural appearance and the characters seemed artificial and almost cartoony. In an attempt to “restore” the detail removed during the DNR process, Spartacus got a dose of artificial sharpening. This didn’t help. It added fake detail that just didn’t look right, and it also added edge haloes to the package. Those weren’t insanely prominent, but they were easily noticeable and definitely heavier than what I usually see in Blu-ray. With all that DNR, you might expect a totally clean presentation, but that wasn’t the case. Most of the movie lacked source flaws, but the occasional speck or blotch still appeared. Grain was non-existent, and that became a distraction; the image’s lack of grain made it look like it was shot through gauze, mostly due to the DNR. Colors were passable. I’ve heard comments that the transfer mesed up the color timing, but I don’t know it well enough to clearly discern correct/incorrect hues. I thought the film tended toward a brownish tint that seemed somewhat unnatural, but occasional tones like reds looked pretty satisfying. Given the DNR and connected problems, the colors were relatively good. Blacks also seemed fine. Those tones appeared fairly deep and dense, so that worked well, especially compared to other aspects of the image. Shadow detail was an issue, largely because any detail was an issue. Low-light shots weren’t awful, but they could seem more than a little dense. Ultimately, I wouldn’t call Spartacus a thoroughly awful transfer, but it had far too many problems and merited only a “D+”; I considered a “C-“, but the consistent pattern of softness and other issues just bugged me too much. The DTS-HD MA 5.1 soundtrack of Spartacus offered a generally positive but erratic experience. The soundfield seemed to be pretty heavily weighted toward the forward channels. I felt that the front soundstage seemed to be nicely delineated for a film of this era. Sounds panned across the front three channels very neatly and added greatly to the film's ambiance. Check out a gladiator battle that took place about 45 minutes into the film; because it was presented from Spartacus' point of view, we actually see almost none of the fight, but we hear the combatants tussle across the three front speakers. That’s a solid presentation that added to the effectiveness of the film. In regard to surround performance, the rear channels seemed reserved for musical reinforcement and some rare effects. The forward spectrum really was the primary focus of this track, which was fine with me, since the front channels added such a solid layer of involvement. More problematic was the quality of the audio. Of all the different components, Alex North’s score definitely fared best. The music didn’t present a tremendous amount of dynamic range, but it generally seemed clean and crisp, and the nice stereo imaging made the score appear even better presented. Low end was sufficient for the music, though I didn’t discern a lot of bass action. Effects were less consistent. They seemed to be generally thin and lackluster, and at times they could become somewhat strident. This wasn’t a major concern throughout the whole film, and the problem often accompanies older movies, but it occurred nonetheless. Even more erratic was the film’s dialogue. Much of Spartacus was looped. 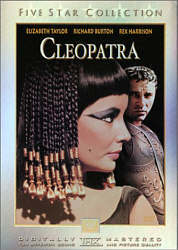 Some of this dubbing took place for the original shoot, while some was performed for the 1991 restoration; for example, Anthony Hopkins redid some of Olivier’s lines because the originals were lost. These instances were very noticeable and distracting, but even without those concerns, the original speech had a lot of problems. Some dialogue appeared to be acceptably clear and accurate, but quite a lot of lines were thin and brittle. At other times, the speech could sound rather flat and muffled. The dialogue remained intelligible throughout the movie, but the lack of warmth and natural tones could become a concern at times. Ultimately, the broad and engaging soundfield of Spartacus still was above average for the era, but the soundtrack’s inconsistencies meant that it only earned a “B” grade. When we shift to the set’s extras, we open with four Deleted Scenes. These last a total of seven minutes, 40 seconds and include “Spartacus Meets Varinia (UK Version)” (2:01), “Spartacus Meets Varinia (US Version)” (2:19), “1967 Finale” (2:20), and “Gracchus’ Suicide (Audio Recording)” (1:00). The US “Varinia” already appears in the film found here, so I’m not sure why it also appears as a deleted scene; the UK cut alters it a little. The “Finale” demonstrates edits. Due to complaints from religious groups, the 1967 reissue removed most of the shots of Spartacus on the cross at the end; this clip shows how poorly the cut version worked. Finally, “Suicide” adds a little of a scene shot but lost, so we mostly just find an audio take. It’s mildly interesting. Under Archival Interviews, we find notes from actors Peter Ustinov (2:58) and Jean Simmons (3:44). In the former, Ustinov discusses his character, research, and his experiences in the US; he also does some funny impressions. Ustinov was always a fun interview subject, and this short clip amuses. For the latter, it uses a format popular back in the Sixties: it’s an “open-ended” interview in which blank spots are left in the track so that your local TV personality can make it appear as if he/she is actually speaking with Simmons. While I wish they’d provided the questions as well, this was still a fun little clip. A reel of Behind the Scenes Footage goes for five minutes, 11 seconds. It takes us to “gladiator school” and shows some shots of the principals as they interact, and there’s a fair amount of views of the appropriate performers as they trained. None of the audio from the original film remains; instead, North’s score appears over the top of the footage. It’s too bad the audio no longer exists, but this is still an enjoyable clip. Five Vintage Newsreels occupy a total of four minutes, 58 seconds. These cover “London Ovation” (1:44), “Tony Curtis Honored” (1:12), “Sir Laurence Olivier Returns to Hollywood” (0:35), “Kirk Douglas Honored” (0:50) and “Kirk Douglas Arrives in New York” (0:34). As usual, these are pretty fluffy, but they’re interesting. I most enjoyed the first one which shows one of the film’s premieres; I found it oddly entertaining that during one long shot of some obscure royalty, Kubrick walks right past the camera, apparently unnoticed. In addition to the film’s Trailer, we find an Image Gallery. This presents “Production Stills” (26 shots), “Concept Art” (7), “Costume Designs” (23), “Saul Bass Storyboards” (64) and “Posters and Print Ads” (18). All offer interesting elements and deserve a look. As a film, Spartacus was erratic and occasionally wearying, but it offers quite a few solid moments, most of which came due to some terrific supporting performances from the film’s antagonists. The movie also picked up as it progressed, and much of its most satisfying material took place during its final act. 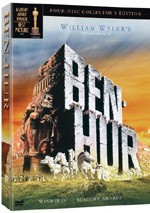 The Blu-ray provided relatively good audio but included only minor supplements, and the visuals suffered from a mix of avoidable problems. Those concerns make it very tough for me to recommend this Blu-ray to fans. No, Spartacus didn’t look awful, but it gave us a transfer far inferior to what we should have received. Until/unless Universal fixes this disappointing presentation, fans should just stick with their DVDs, especially if they already own the Criterion edition from 2001.